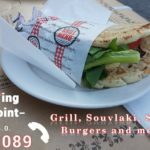 Steakhouse Meating Point at Therma Ikaria: Grill, Souvlaki, Salads, Burgers and many more ..! 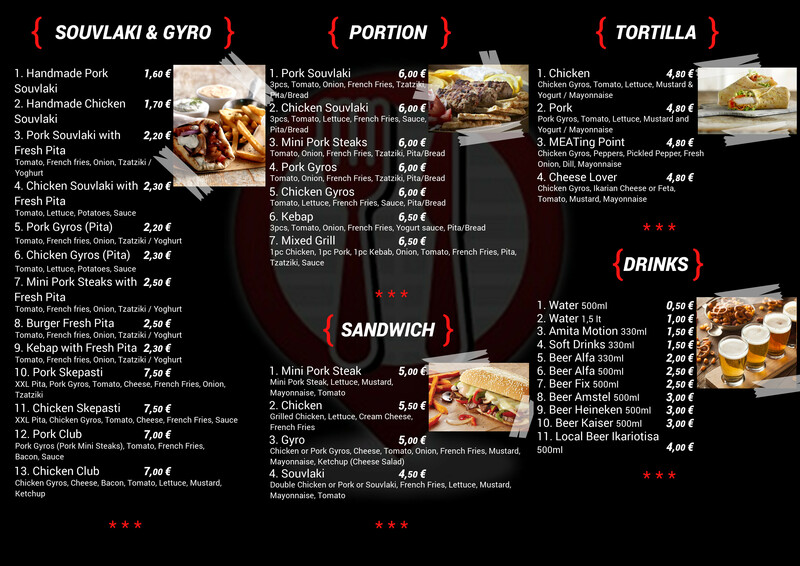 Burger extravaganza, souvlaki from a different point of view, timeless traditional delicacies with a gourmet touch! 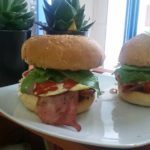 Meating Point is the place to be when you’re looking for a quality quick bite at reasonable prices and a relaxed environment! 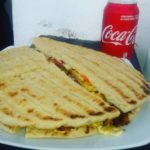 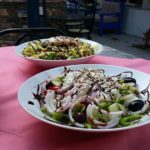 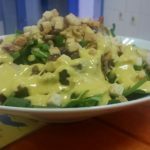 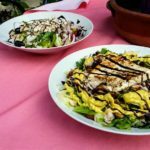 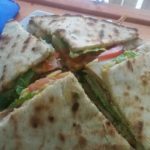 Are you looking for the tastiest souvlaki in Ikaria ? 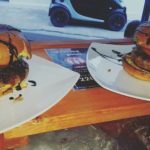 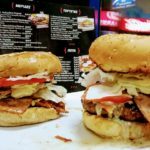 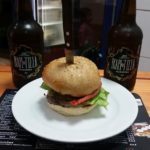 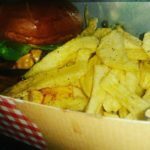 Do you want to try the juciest burgers in Agios Kirikos? 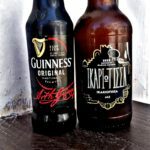 Then meet us at Meating Point in Therma, Ikaria. 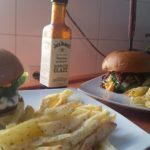 “Meating Point” at Therma, Ikaria, creates a new experience for all the food lovers out there who want to enjoy souvlaki and tasty burgers cooked over charcoal. 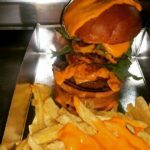 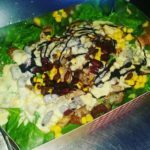 Fresh quality meat, handmade skewers and burgers prepared daily using the freshest ingredients, unique salads in big portions using traditional local ingredients combined with gourmet touches such as raisins, pomegranate, avocado and pineapple. 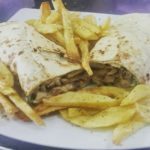 Find unique flavors at Meating Point, the place of timeless and true love for souvlaki! 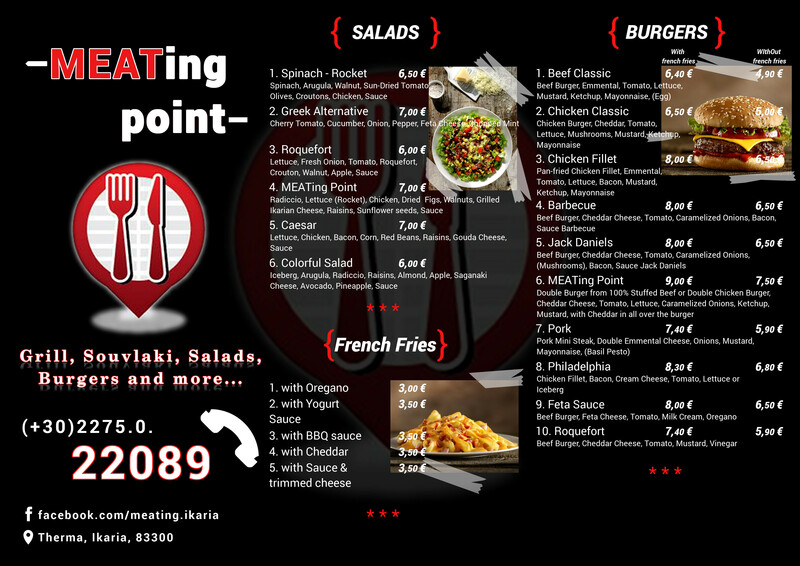 “Meating Point” at Therma, Ikaria! 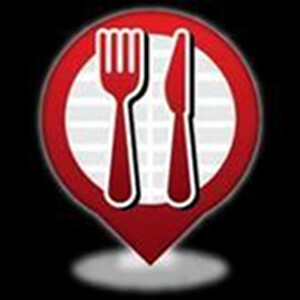 The true meeting point for food lovers!